From 1997, when he won the Canadian novice all-around championship, until 2008, when he was a member of the Canadian Olympic team, Ken Ikeda has excelled in gymnastics. 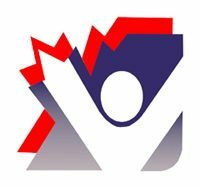 Ikeda’s career highlights in Canada include gold medals in pommel horse at Elite Canada meets in 2002, 2003, 2005 and 2006. At the Elite Canada meet held in Abbotsford in 2007, Ken added a gold medal in parallel bars and a silver medal in all around, pommel horse, and high bars. 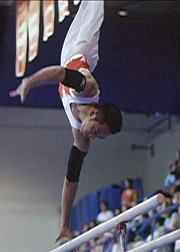 At the Canadian Championships in 2001, 2005 and 2006, Ikeda took home pommel horse gold, and in 2007, bronze in all around, silver in pommel horse, and gold in parallel bars. Internationally, Ikeda continued his outstanding performances, winning two silver medals at the 1999 Japan Junior Internationals, a bronze at the 2000 Pacific Alliance Championships in New Zealand, and two silvers at the 2000 China Motor Cup. His outstanding performances helped secure Canada’s entry into both the 2004 Athens and the 2008 Beijing Olympic Games, where Ken was an integral part of the Canadian men’s gymnastic team. Ken and his family have made the name “Ikeda” synonymous with gymnastics in Abbotsford – father Mits and brother Richard are previous Hall of Fame inductees. They have raised the bar to unparalleled levels for local gymnasts of the future.